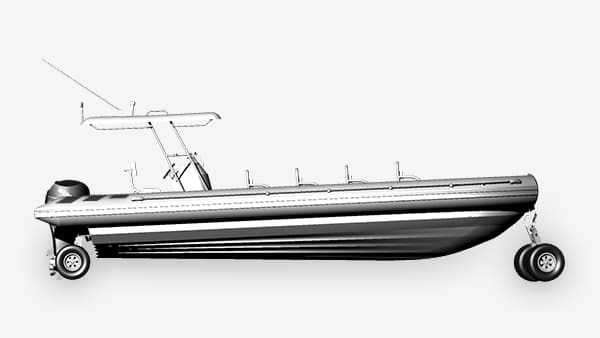 The OCM Military Amphibious craft is more than just a boat with wheels. 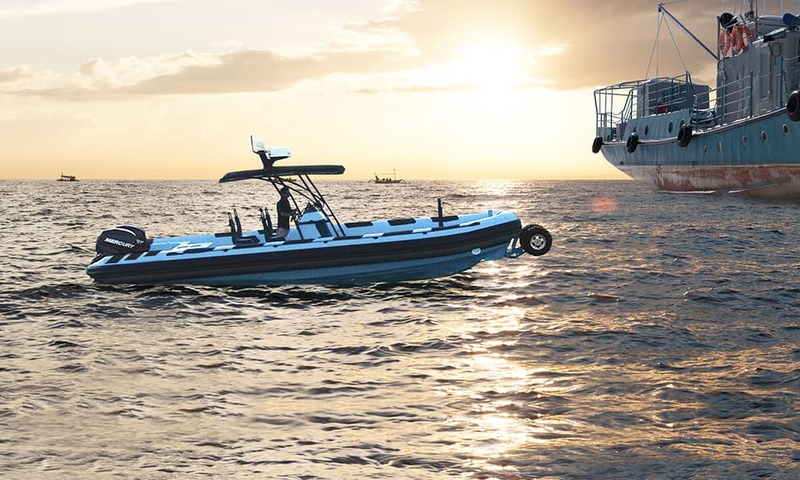 It has been developed to allow first responders to take action faster so they can fully focus on their mission where a few seconds can be crucial in saving a life or succeeding in the mission in question. 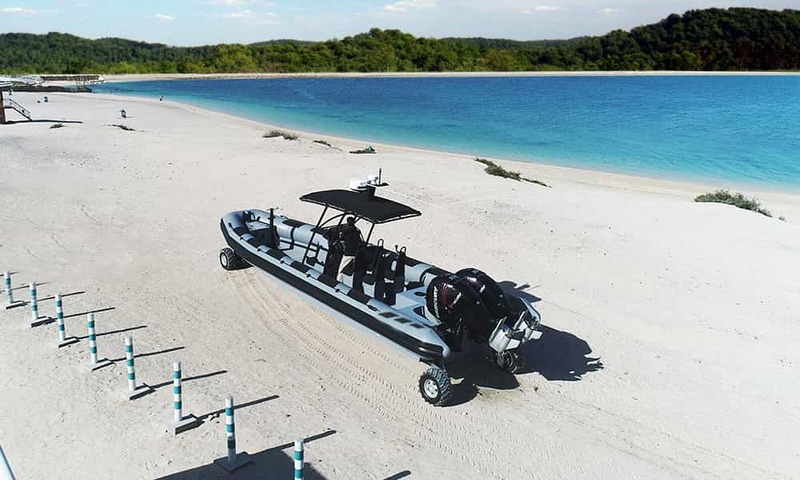 The OCM Amphibious craft can be driven to/from a beach landing to any other remote beachhead driven inland as needed and then back again into the water. 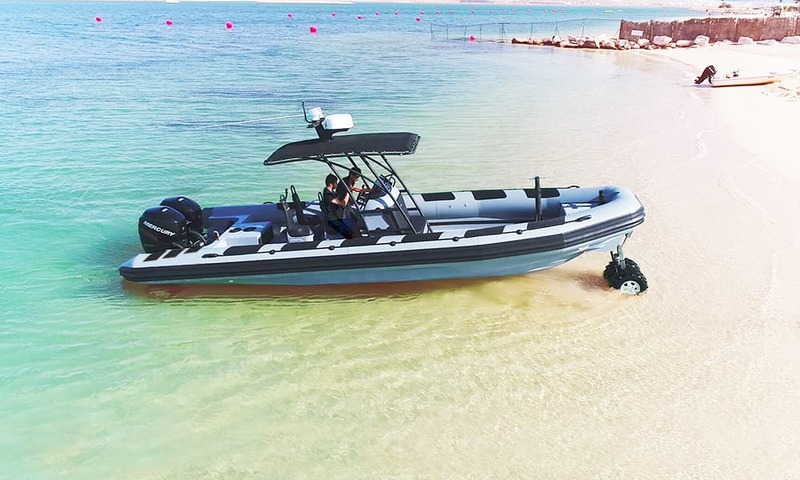 Reaching speeds of 63 mph, the OCM Amphibious 9.8m can be powered by twin 350 Hp engine making it our fastest Amphibious craft to date.